Chuck Fisher is the founder of Fisher Wealth Management Group and an Investment Advisor Representative with LPL Financial with more than 30 years of experience in the financial services industry. From a young age, he had a passion for the world of finance and wanted to help people address and overcome their financial challenges. Today, as a financial consultant , he seeks to do so by utilizing a comprehensive wealth management approach. While each area is individually of importance, Chuck believes managing them cohesively can help clients pursue financial success. Chuck first started his career in the world of accounting. After graduating with a Bachelor's of Business Administration in Accounting from Indiana University of Pennsylvania, he became an auditor and controller for a national firm. Following, he worked in equipment leasing and financing before transitioning into the banking industry. While working in mortgage lending, he created the first mortgage department for Peoples Bank of Oxford. With a desire to offer financial planning services, he joined IDS (which evolved into American Express Financial Advisors) as a financial advisor. While he enjoyed working with his clients, he wanted to be able to offer them a wider array of services without any conflicts of interest. In 2003, he became an independent financial advisor with LPL Financial and founded his own firm, Fisher Wealth Management Group. Chuck holds FINRA Series 7, 24 and 63 securities registrations through LPL Financial, and the CDFA® and CFP® certifications. A CERTIFIED FINANCIAL PLANNER™ certification means the financial planner has fulfilled rigorous education and experience requirements set by the CFP Board. A CFP® professional always puts the client's interests first and upholds a high level of ethics, objectivity, and professionalism. Through a Code of Ethics, Chuck agrees to offer fair and diligent financial planning advice and services. As a Certified Divorce Financial Analyst®, he has the experience and knowledge to help clients with making critical financial decisions before and during the divorce process that will affect the rest of their lives. 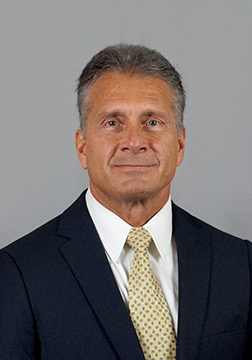 Chuck has served as President of the Southern Lancaster County Chamber of Commerce and Board Member at both the Southern Lancaster County Chamber of Commerce and the Southern End Community Association in Quarryville, PA. In addition, he has coached youth wrestling, football, and girls softball teams. In his spare time, he enjoys staying active, whether he is working out at the gym, playing golf, or scuba diving.